Want a test drive? You're in the right place! This is your one-stop solution for all your needs in online tests, quizzes, and exams. 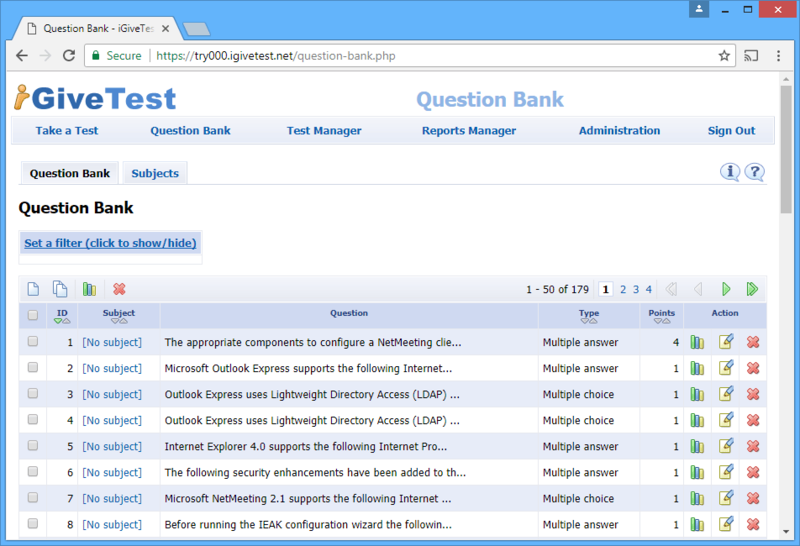 A bank of questions makes it extremely easy to create tests. The questions can be conveniently divided into different pools, topics and can be sorted, filtered, and organized by different criteria and parameters. 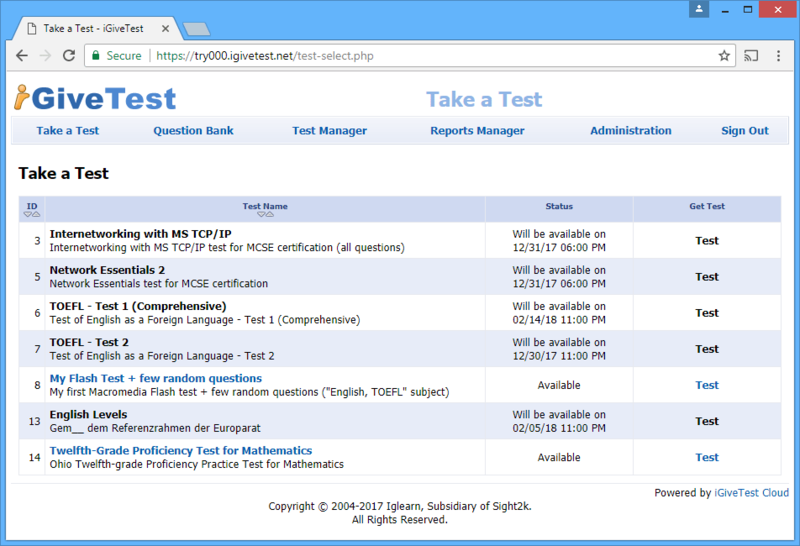 Using iGiveTest, you can ask any kind of question (true/false, multiple choice, short answer, essay, questions with more than one correct answer). Set up a custom style for your tests. HINT: Our team now offers cost-effective user interface customization services Ask us for a quote. Create pools of questions and select to randomly pick up questions from any question set at your own choosing. Choose how to mark each question (for example, 2 points for a correct answer, 0.5 points for a partially correct answer, and -1 for an incorrect answer). iGiveTest also supports the creation of psychological tests, quizzes, and all kinds of questionnaires, where as a rule there are no right or wrong answers. 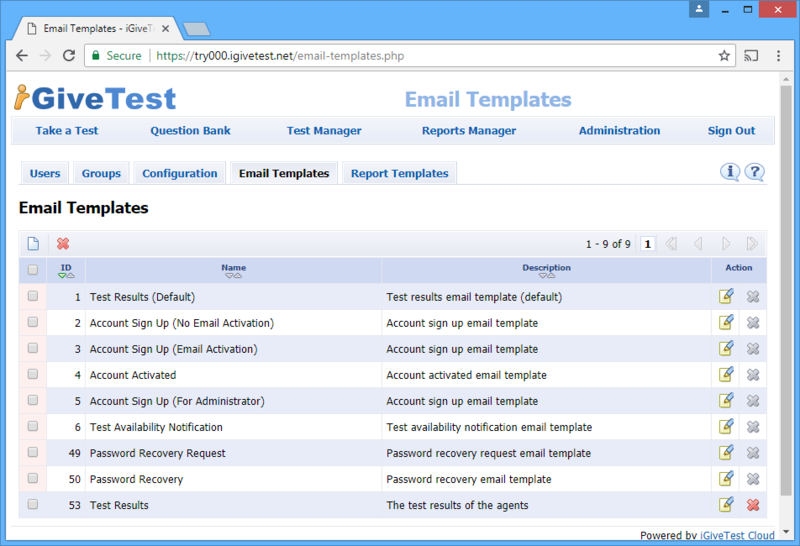 You will have the ability to change standard email templates or to create templates of your own. A convenient system of making templates will allow you to write your own message in the email and include only the desired information about the result. Design your own report and certificate templates. 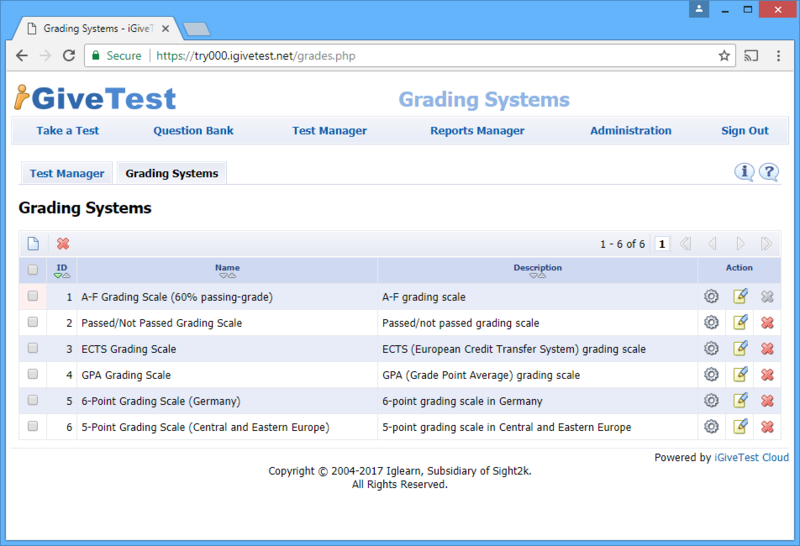 Automatically generate and put any data to reports/certificates about successful passing in plain text, HTML or PDF. Automatically send out testing results to any group of users by email (there are different features for adjusting custom email templates). 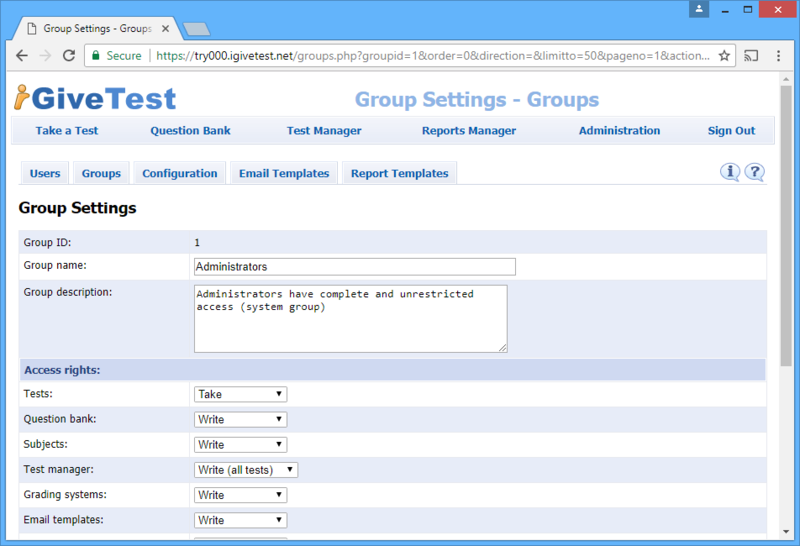 Assign a test to a certain group of users and define an exact number of attempts to pass a test. 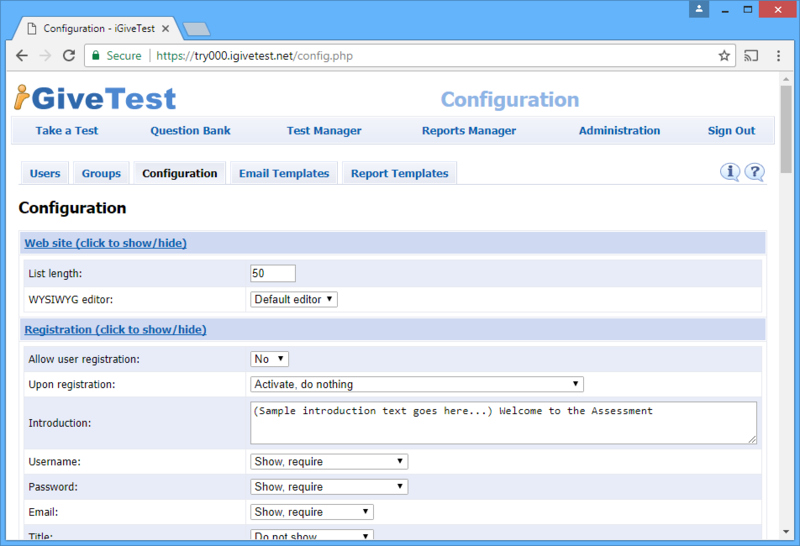 You can also provide a guest access to the testing system, and define guest permissions. Create a password to access a test, give access to a test only during a certain period (determined by date and time) or protect it from copying and printing. Create administrators, instructors, operators (for entering questions), regular users, and guests, and set their permissions accordingly. Automatically import questions from plain text documents. HINT: Or let us to do all the hard work for you and import from unusual sources and formats. Ask us for a quote. Using the questions editor, you can easily list all your questions and format the text, add graphics, formulas, animation, and audio and video files. Each test can present questions and answers in random order. 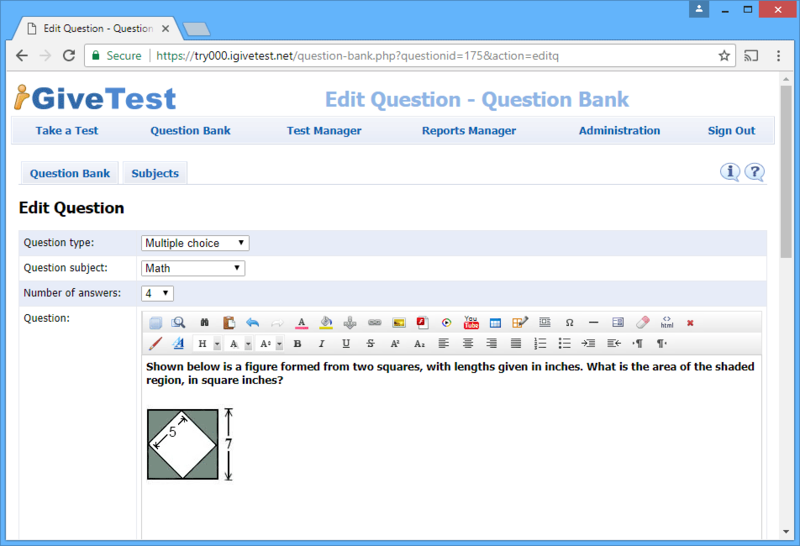 You can display one question per page or all questions on one page. You can place an introductory text at the start of the test or before any question (theoretical background, instructions, or explanations). 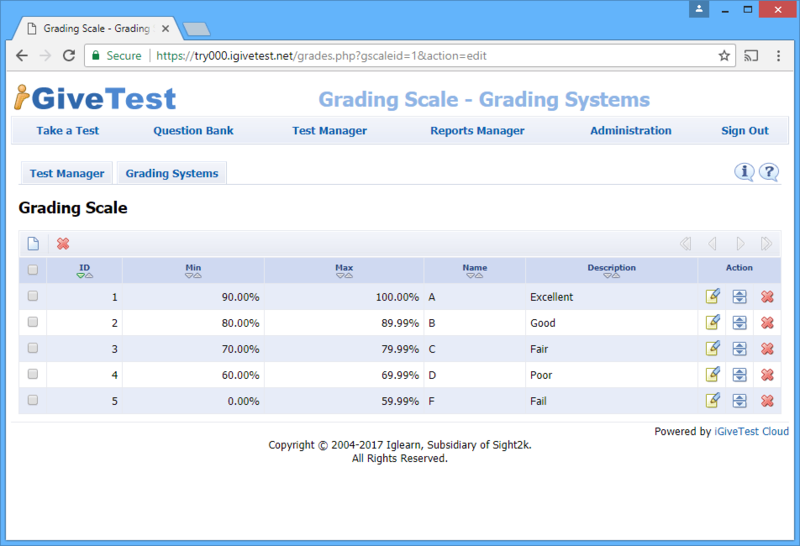 Besides grading tests by points or by the number of correct answers, you can define your own grading scale (for example, the traditional 13-grade system A+,... D-, F, the 5-grade system A,B,C,D,F, or any other system). 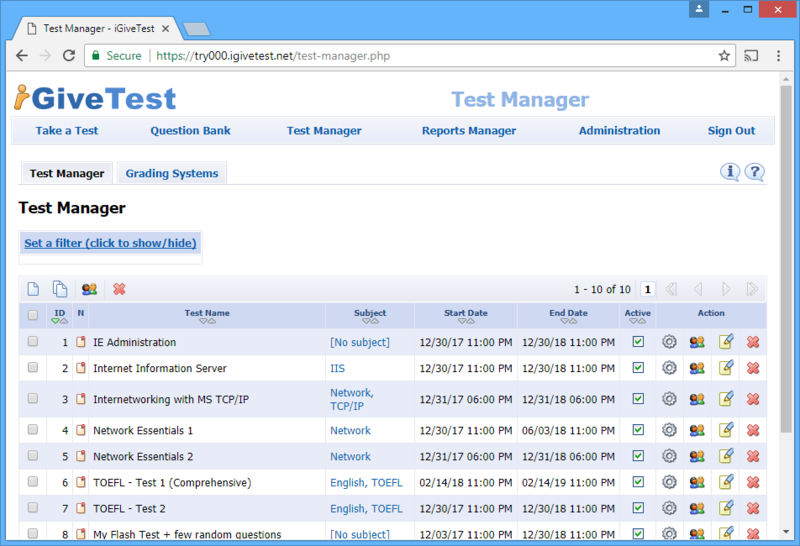 The reports manager allows you to view testing results for each user or group of users, at a glance and in detail (when the test was taken, how long it took, the answer to each question, points earned for each question, entire test, and so on). You can gather statistics from the answers to each question. 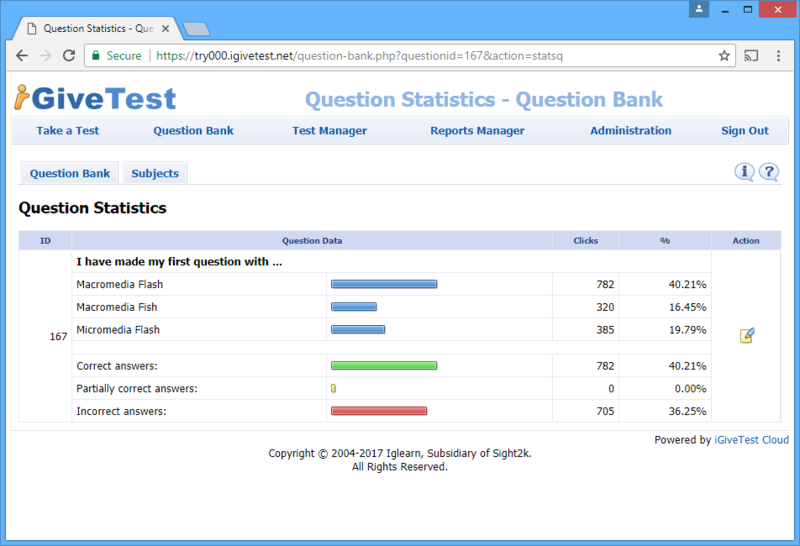 The page for collecting statistics allows you to view detailed information about how the answers were chosen, what percentage of the users chose particular answers, how many times an answer was chosen correctly, etc.